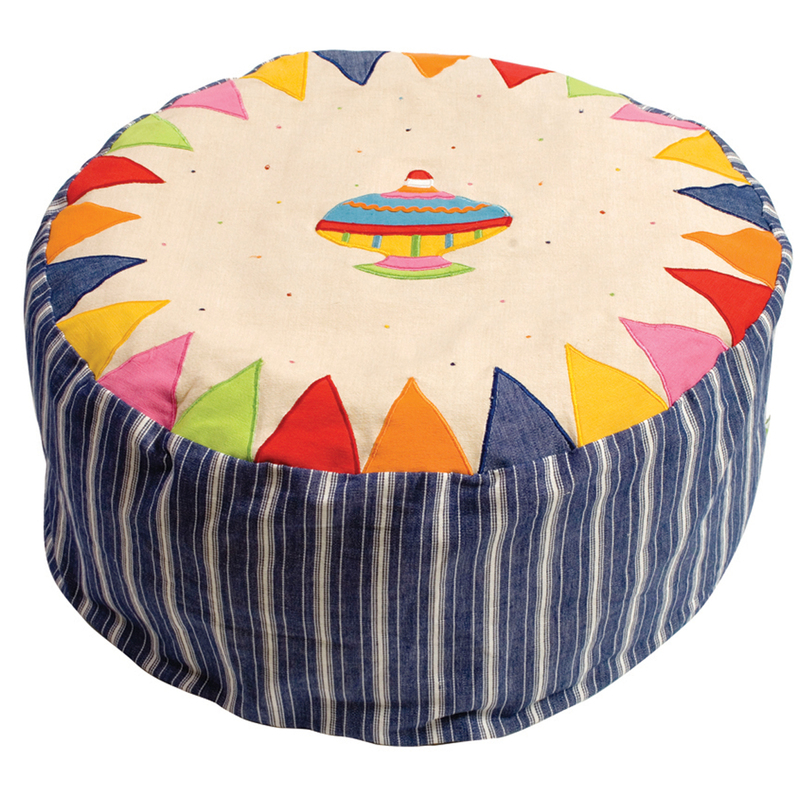 This gender-neutral kids' tent includes primary colors that are perfect for both boys and girls. 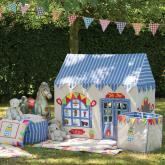 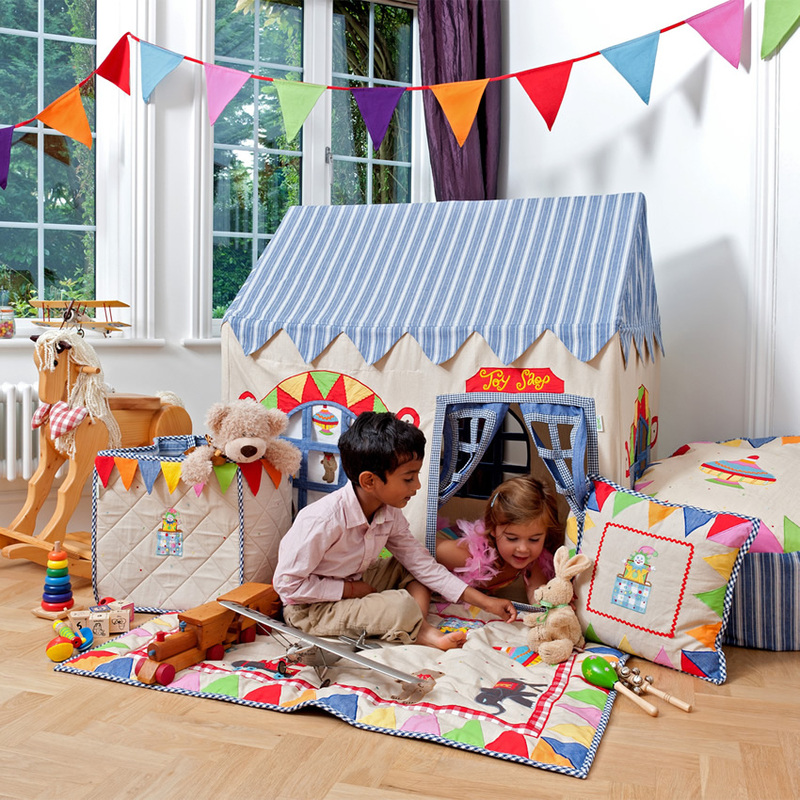 The Toy Shop Kids' Tent is perfect for a shared play space. 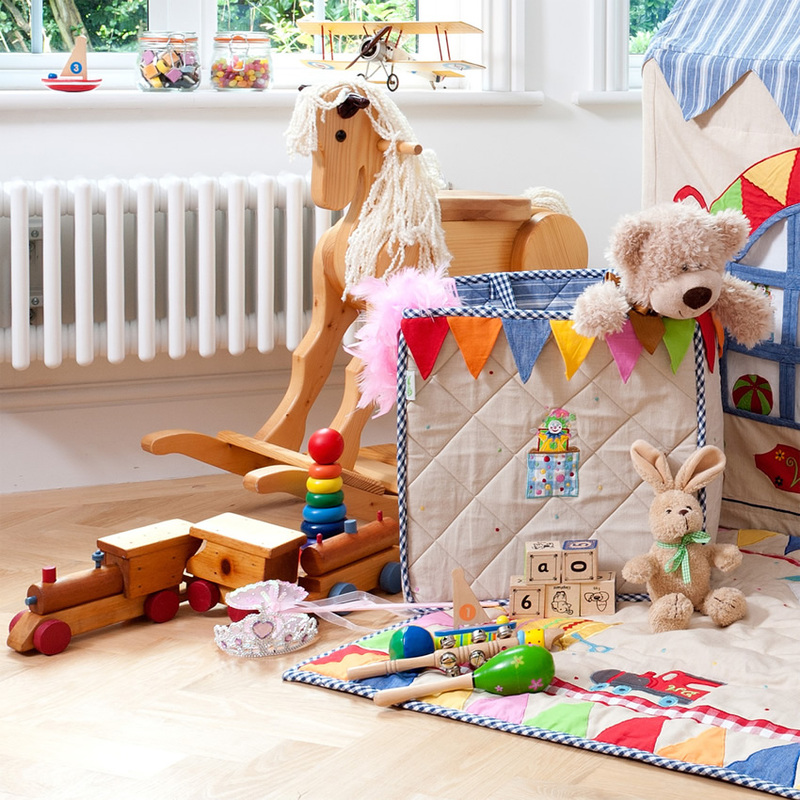 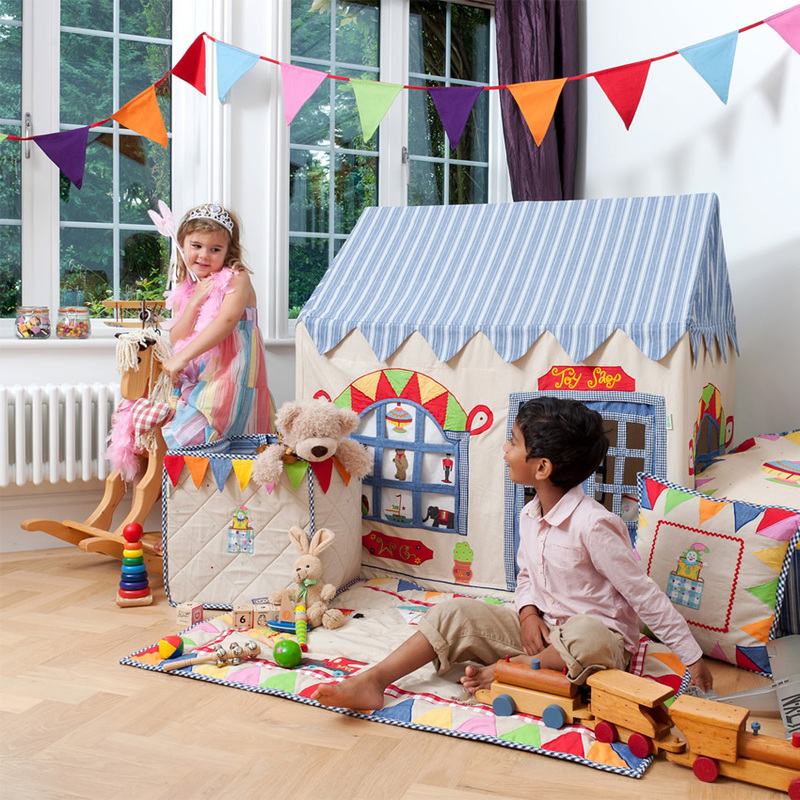 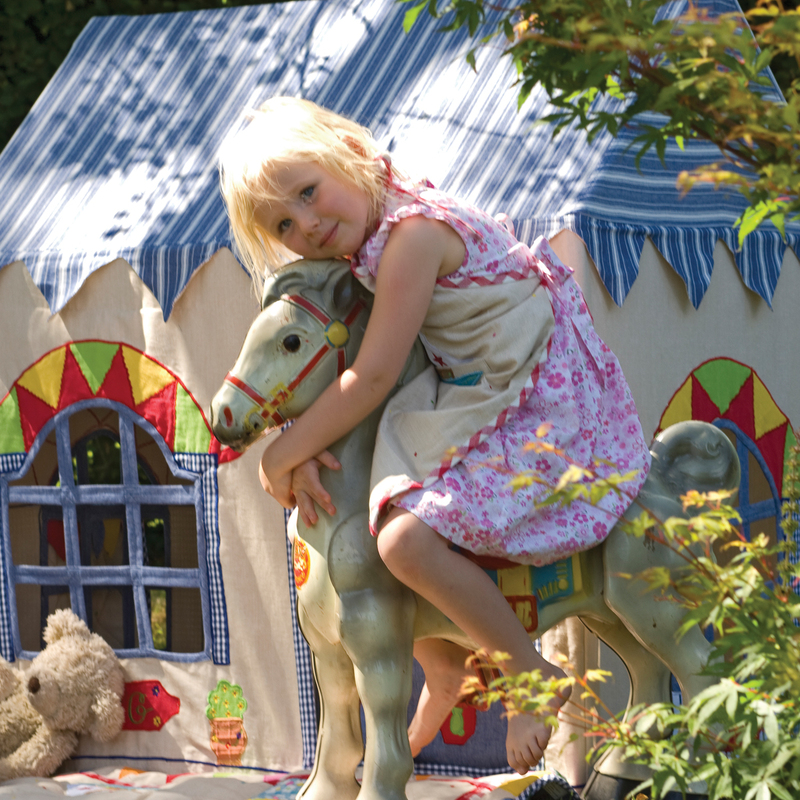 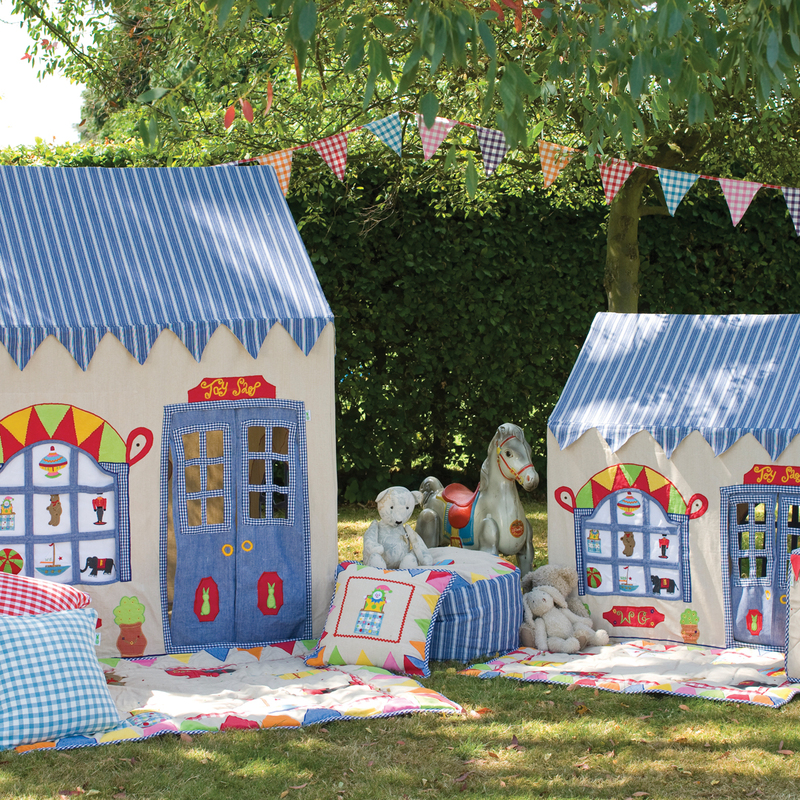 Parents often find it difficult to decorate bedrooms and play spaces that are shared by brothers and sisters, but the Toy Shop Playhouse Collection is the perfect solution. 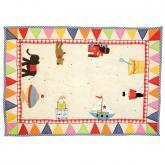 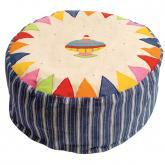 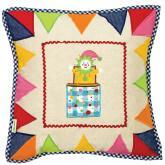 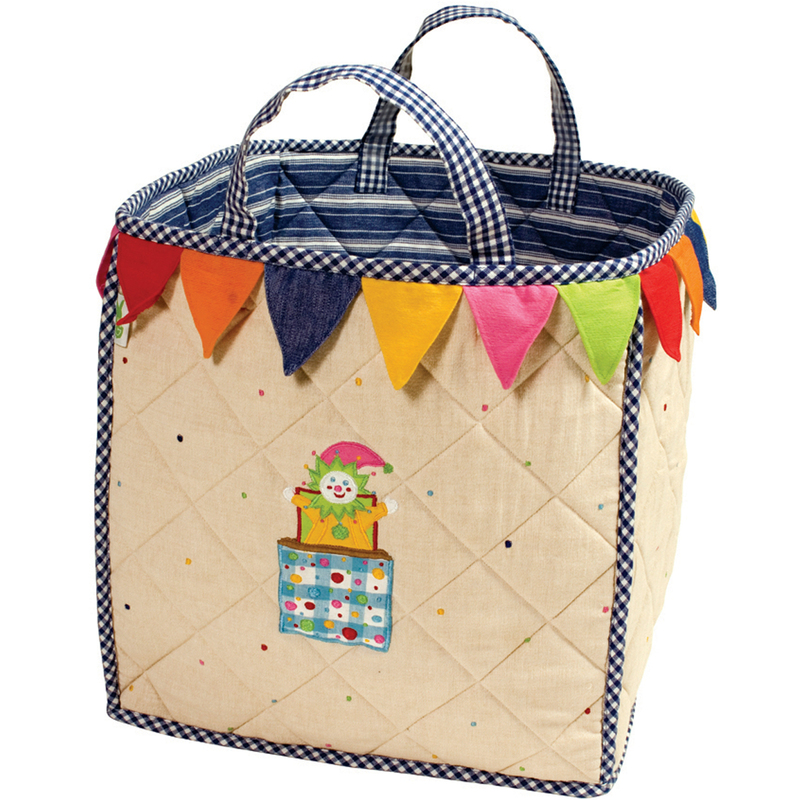 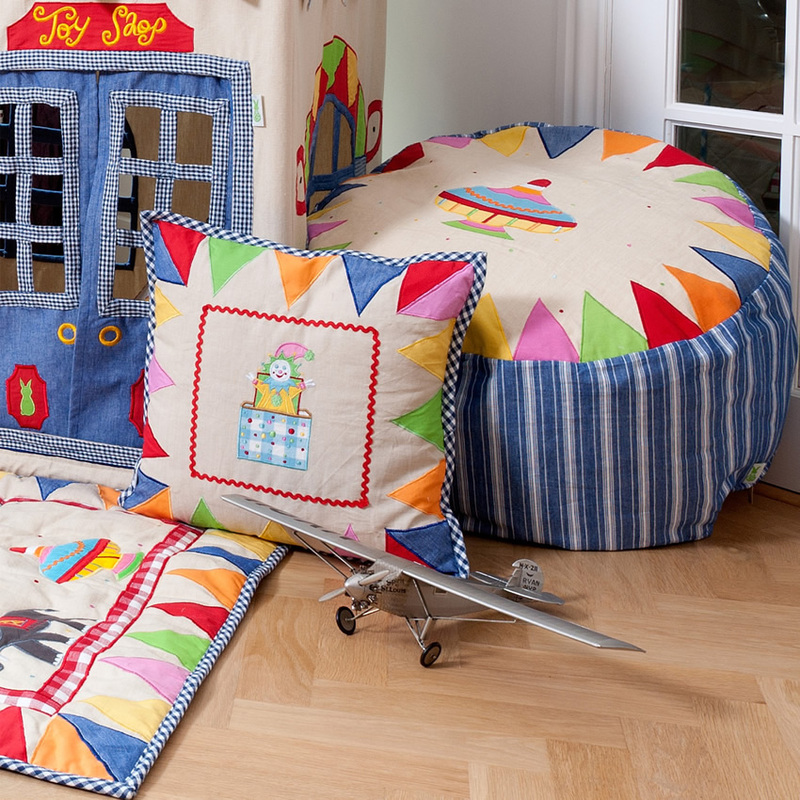 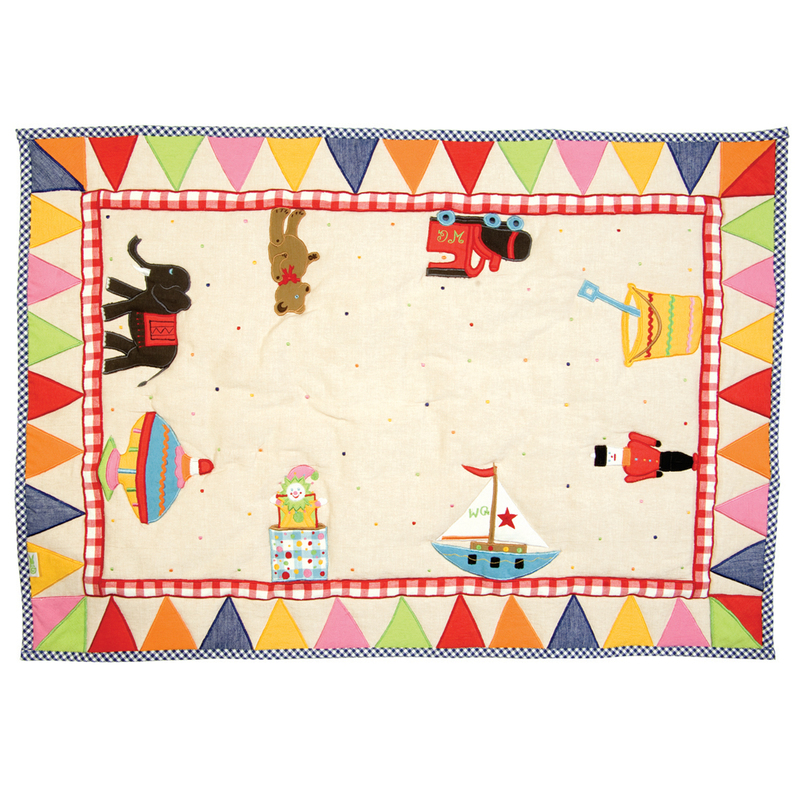 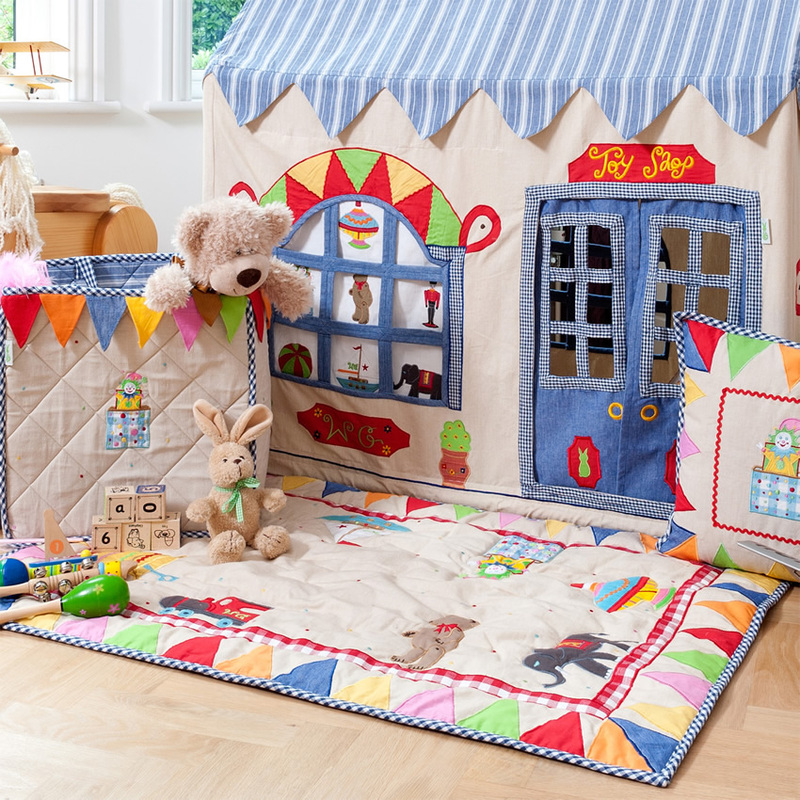 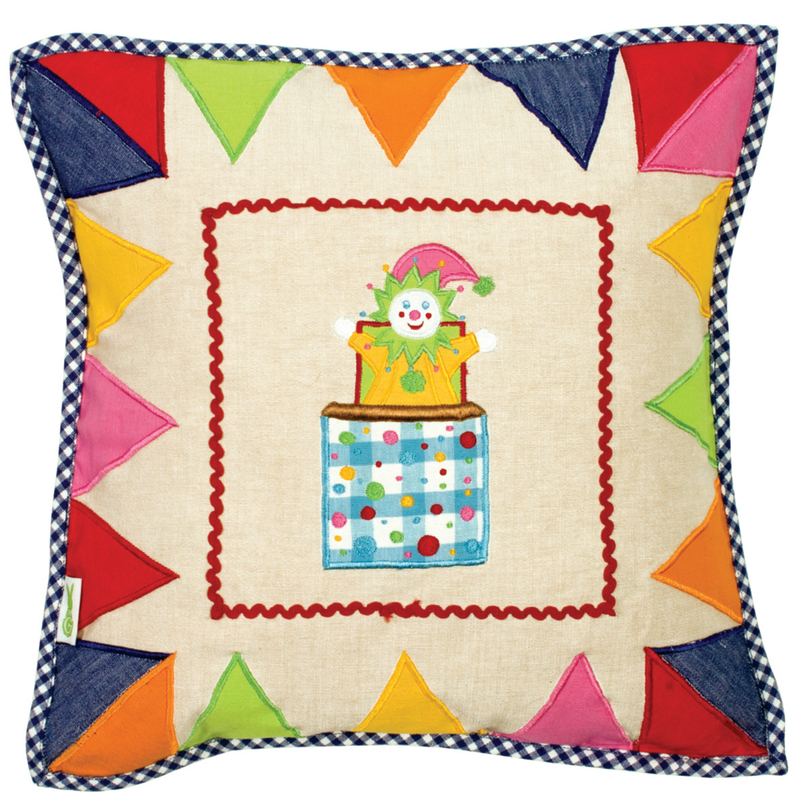 Decorate with this whimsical kids' tent, bean bag, toy storage bag, and more. 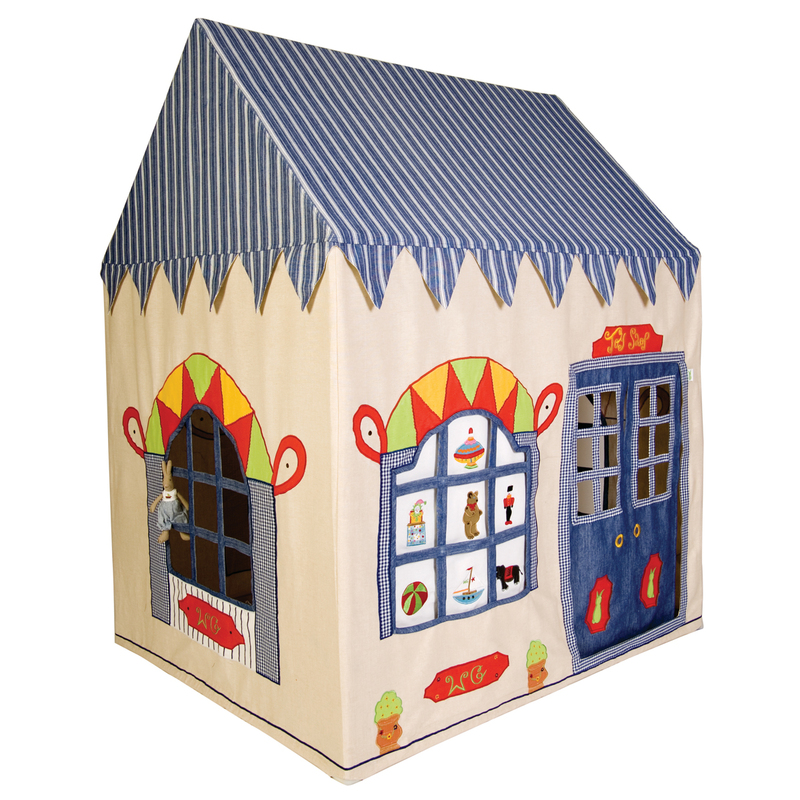 The toy shop is adorned with hand appliqued toys in one window and peek-a-boo windows in the door. 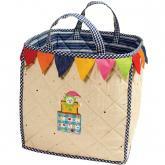 It is expertly stictched of the finest embroidered cotton special appliques inside and out. 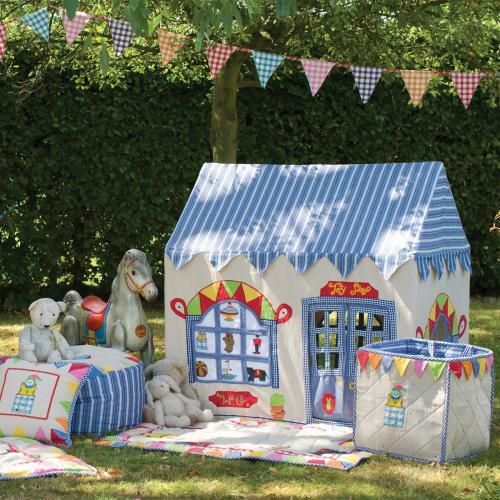 The Toy Shop Kids' Tent has a light aluminum frame, is easy to set up, and comes complete with a handy storage bag. 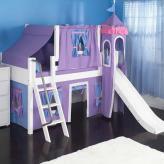 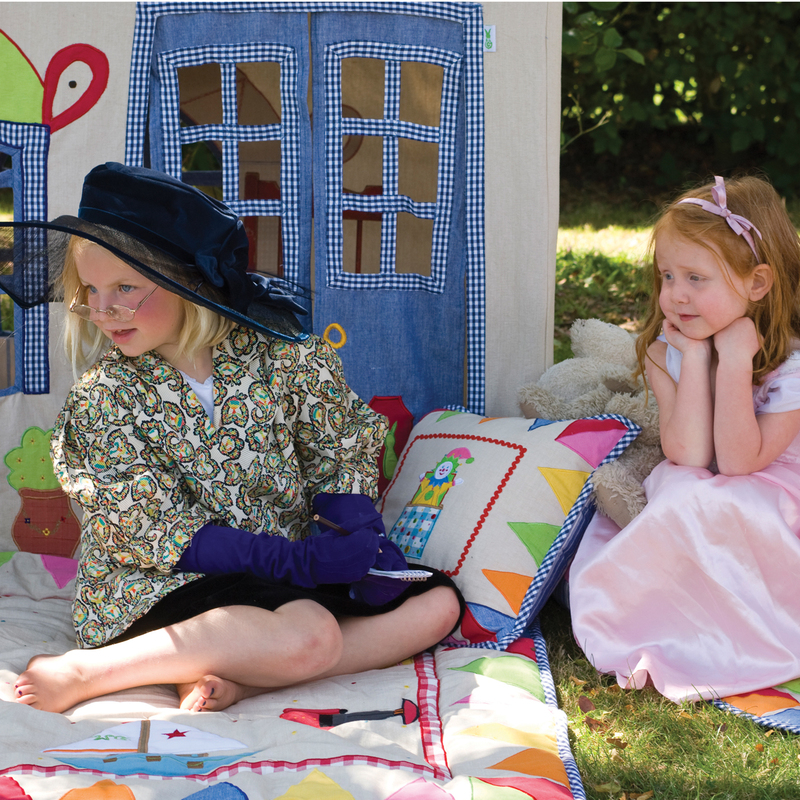 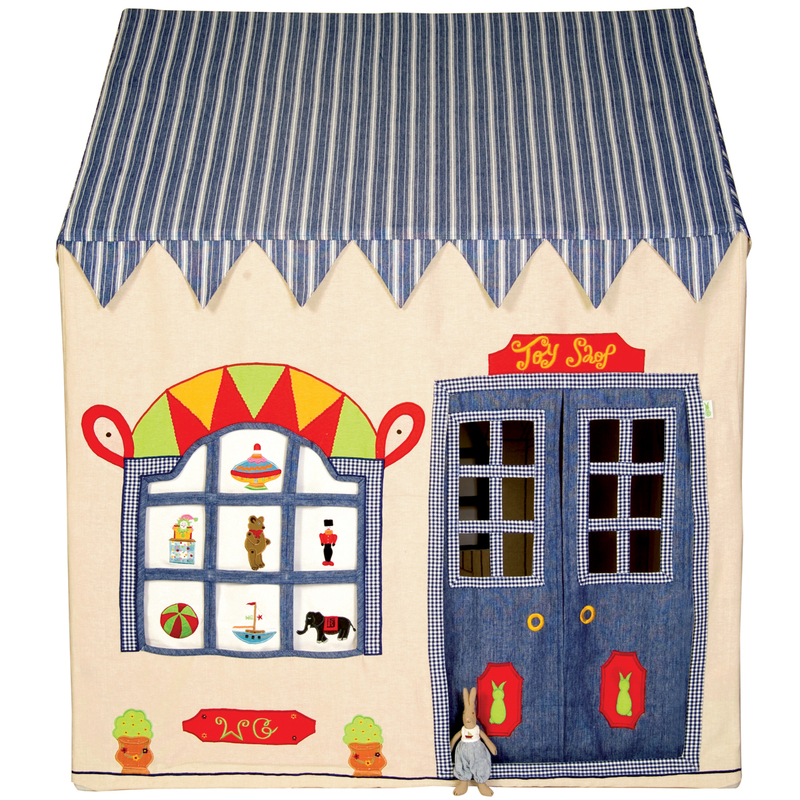 Use the fabric playhouse indoors year-round or outside on nice days. 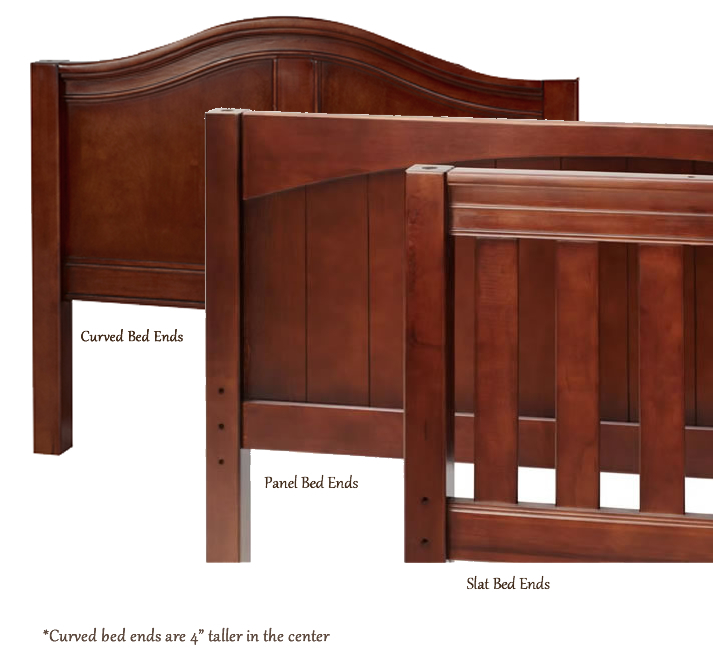 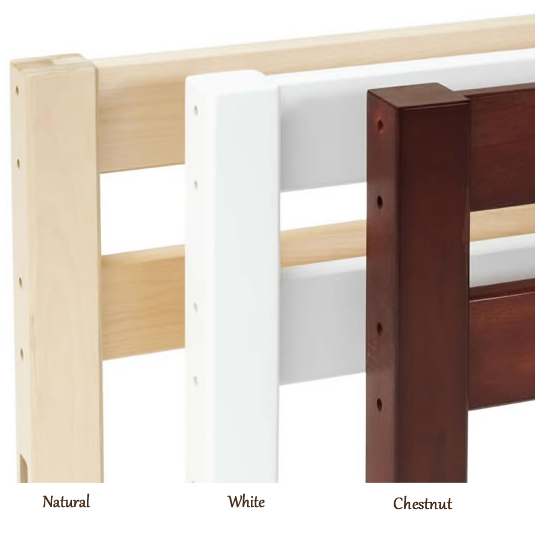 Choose from two sizes.